A hazelnut by any other name will still be as tasty. Filberts, cobnuts, or hazelnuts as they are mostly called here in the States, are often paired with sweets such as chocolate or praline, but are truly a delicacy in any dish. Here we toast and roughly chop them to add a bit of crunch throughout this protein packed pasta. 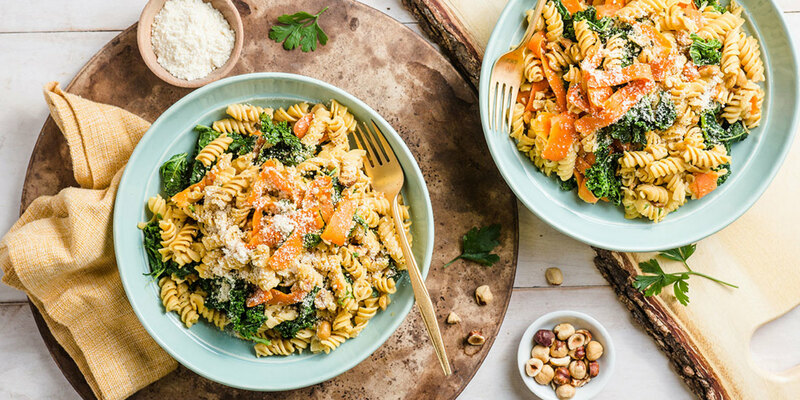 We’ve included coconut oil in this recipe to accentuate the nutty flavor in this decadent (feeling) dish, so enjoy without guilt.